We do not list gambling or pornographic sites. Only Featured Links are allowed for top-category submissions. Please submit all the site details only in English. Non-English sites must be submitted only under the Regional category with the submission details written in English. We reserve the right to edit, delete or move your website submission to the proper category wherever deemed necessary. All links submitted will be reviewed and/or approved within 36 hours. 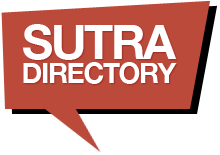 We will refund your submission fee if we feel that we cannot include your website within our directory index. One Time Payment & Lifetime Validity. Placed above all Regular Listings, Links to additional 5 sub pages, Permanent Featured Placement in submitted category and also Submission allowed to Top Categories. One Time Payment & Lifetime Validity. Regular Listings with links to additional 3 sub pages. Yearly subscription. Placed above all Regular Listings with links to additional 3 sub pages. 1 Year Validity if not subscribed via Annual Renewal. Yearly subscription. 1 Year Validity if not subscribed via Annual Renewal.